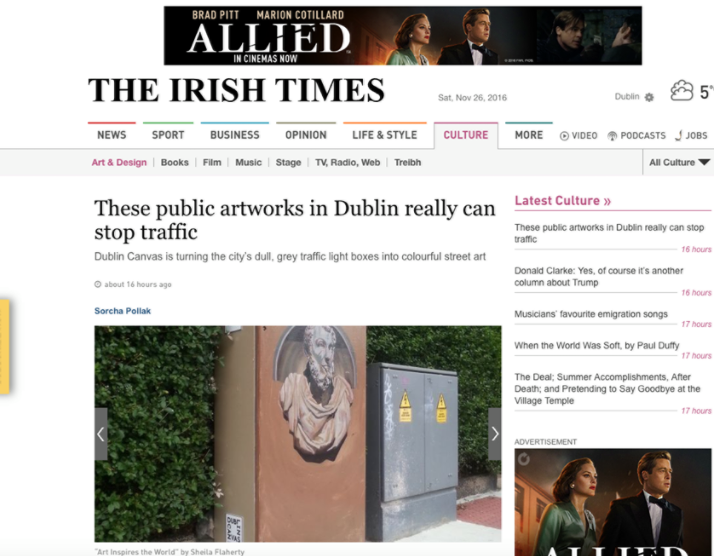 You may have noticed pieces of art appearing on traffic lights boxes in Dublin over the last two Summers. 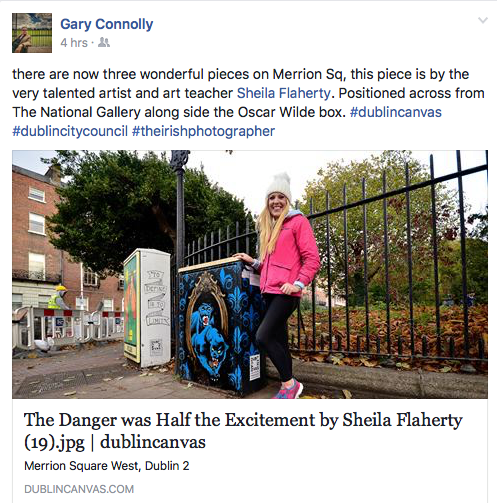 It is the work of an initiative called Dublin Canvas . 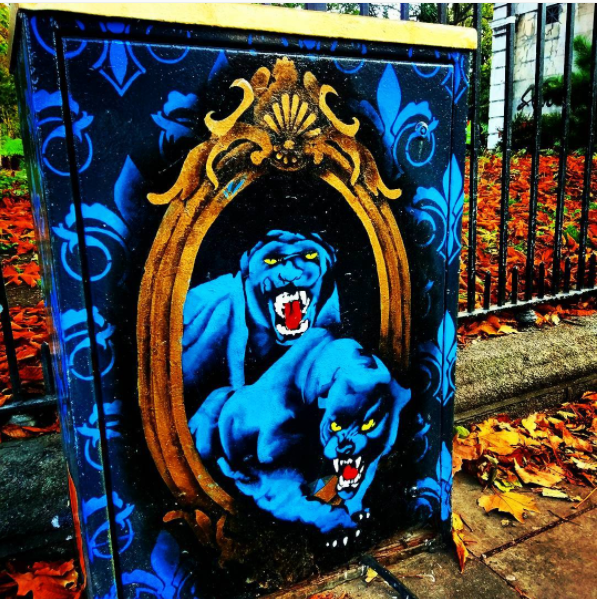 It seeks to brighten the city by commissioning artists to transform a dull traffic light box into a public work of art. I was lucky enough last year to paint two such boxes. The boxes have been brightening up the city for two years now. 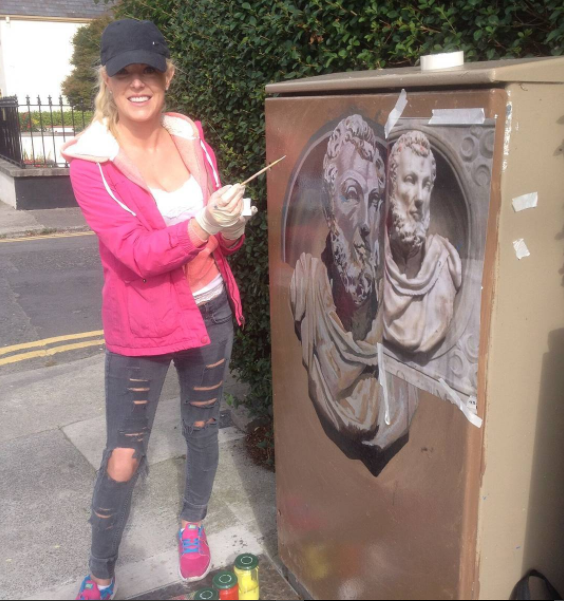 Check out images of all the artists work so far on the Dublin Canvas website gallery. The project set to roll out again for Summer/ Autumn 2017. 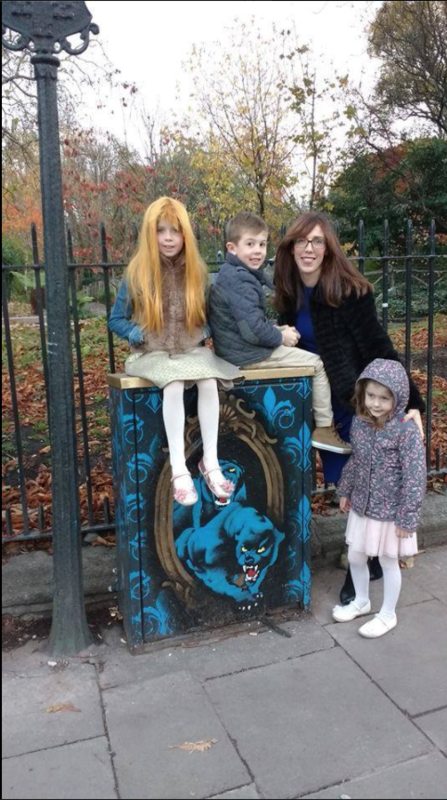 If you would like an artist to paint a box painted in your area, post a photo with location using hashtag #dublincanvas to the Facebook page. If you fancy painting a box yourself, get in touch with David Murtagh on the website and sign up to the news letter with all the information about getting involved. I look forward to spotting new artwork emerge over the course of the Summer and Autumn.